The ultimate plant-based hot dog! Mexican carrot dogs with chunky salsa verde are a fun summer bbq must! Gluten-free and vegan, this healthy meatless recipe will have your taste buds fooled and your body thanking you! What? Yes, yes I did! The ever trendy carrot dog! For the longest time, longer than I can even remember, I’ve wanted to make the “carrot dog”. Even when I still ate beef, back in the day, I never liked hot dogs (I mean really…what is a hot dog? Is it even cow in the first place? YUCK!) Now if you’re shaking you head thinking carrot dogs sound gross, just hold up. You are in for a very tasty surprise! How could a carrot possibly pass for a hot dog? Well, just the same way as cauliflower rice can pass for rice. We all know it’s completely different, but that doesn’t mean it isn’t a tasty fun alternative! I wholeheartedly believe carrot dogs are the definition of fun food! Carrot are one of those jack of all trades food. It can make mac and cheese, killer waffles, and of course take on the role of a hot diggidy dog! Not only is this recipe prepping you for summer bbqs ans cook-outs, but I made it Mexican style for a little Cinco de Mayo fun! Forget the tacos and quesadillas, carrot dogs are where it’s at! I’ve paired these dogs with a refreshing, not so spicy, chunky salsa verde. This salsa included green chiles, tomatillos, chayote squash, green bell pepper and a few other extra spices. The salsa is so good I think I’ll be making it alone as is for topping on any dish! Y’all do remember I love salsa verde, right? Well this was my first homemade version and new favorite. When this whole dish is assembled, it just looks and smells like summer. That salsa really does it! Plus, you grill the carrots after marinating and all is right in the world. I didn’t even have to worry about having gas in the big outdoor grill for these. I used my trusty dusty grill pan (in love! You should buy one!) They come in handy for those chilly winter months or, if you’re like me, and you grill runs out of gas or won;t light 7 out of 10 times! Remove the green tops from your carrots and then boil them whole in a large pot, or saute pan with lid, of water for about 5-8 minutes until just fork tender. Remove and allow to cool. In a large plastic bag, combine all the marinade ingredients. Then place the boiled carrots in and refrigerate for 3-4 hours. Meanwhile, prep the salsa but roughly chopping all ingredients and then pulsing it all together in a food processor. Keep it chunky! Once the carrots have marinated, heat a grill pan over medium high heat, on the stove. Grill your carrots for 10 minutes, rotating every few minutes to get grill marks on all sides as best you can. Serve the grilled carrots on a gluten-free hot dog bun and top with salsa, lettuce, ketchup, anything else you’d like! Still think I’m crazy? No no, these are delicious! They will turn carrot haters AND hot dog haters into total lovers! 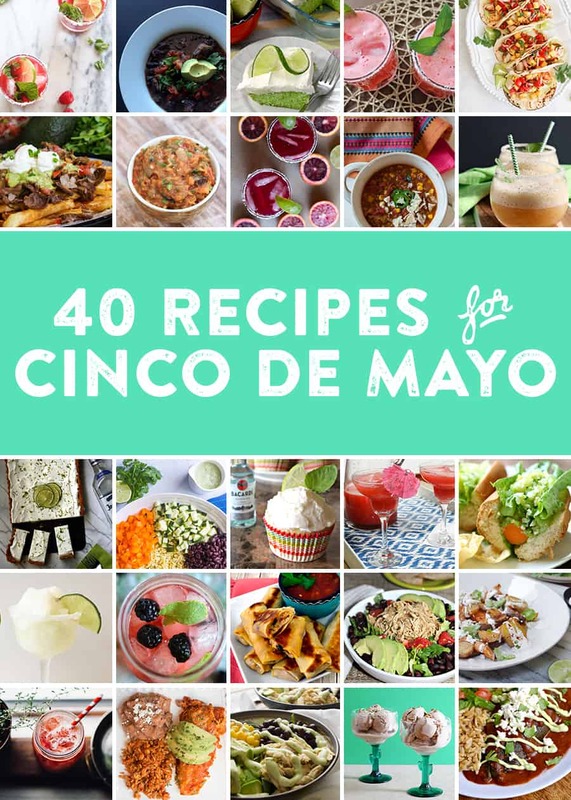 I was already a die-hard carrot lover, but now I’m a “hot dog” lover too 😉 And if you’re in need of a full on Cinco de Mayo menu, I’ve teamed up with some food blogger friends and we put together a HUGE 34 recipe idea collection for you to choose from! Happy Mexican eating! + Burgers or Dog? I think I still have to go with the burger. They are just such an easy freezer-stash lazy meal! + Do you actually plan to eat Mexican food on Cinco de Mayo? Never intentionally, no.